Home Blog SharePoint 2019 Migration – How To Ensure A Successful Upgrade? SharePoint 2019 Migration – How To Ensure A Successful Upgrade? 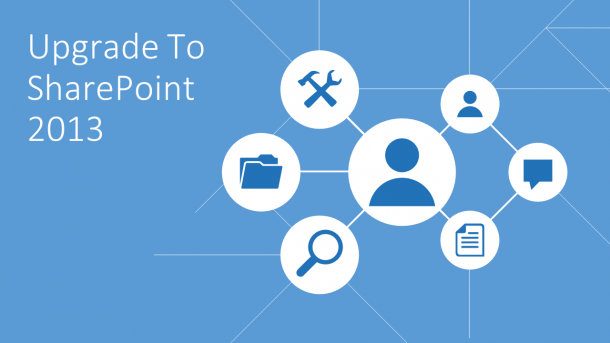 Defining and deciding the right migration tool is a critical element of SharePoint strategy. It must best serve to suit the needs of the team and the project as a whole. SharePoint continues to be one of the core solutions of Microsoft Enterprise Collaboration. With SharePoint 2019, Microsoft brings together the best from SharePoint Online and SharePoint Server. 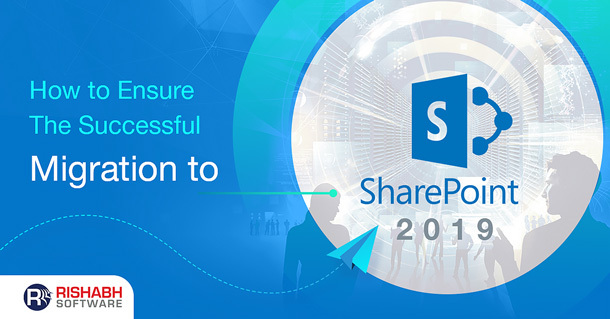 SharePoint 2019 migration enhance the collaboration with process automation features. Read on as we explore the SharePoint 2019 migration best practices also, as we discuss some of the factors that will help you with a successful migration. Why Should You Upgrade To SharePoint 2019? SharePoint offers a modern-looking template as part of the predefined communications site. It enables faster creation of new communications site by including, videos, documents, maps and more. Further, additional features like new sites, pages, and libraries help enhance the user experience with a simple and uncluttered interface. Learn more about the new features of SharePoint 2019. 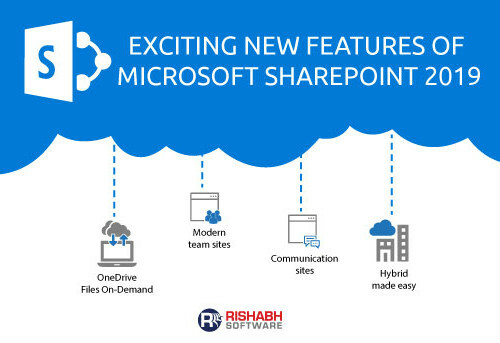 Leverage SharePoint 2019 Features?Rishabh Software supports seamless migration to Sharepoint 2019. 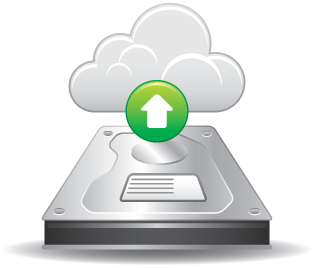 The native upgrade offered by Microsoft is a primary migration tool, designed to “lift and shift” all your data to the new environment without scanning, analysis or classification. A direct upgrade of SharePoint 2013 to 2019 is not possible without the help of third-party tools. For any changes in the existing configuration, the development team will need to rebuild, redeploy, or reconfigure the version. This new environment runs parallel with the old one. Moreover, it allows you to upgrade SharePoint 2013 to SharePoint 2019 directly. Organizations can audit their existing data and select everything that needs to be migrated to the new version. The upgrade from SharePoint 2016 to 2019 offers a modern and elegant design of preconfigured pages. Also, it is in combination with an entirely new editing mode. Further, responsive design allows optimization of mobile devices. The OneDrive Client Sync and connectivity with PowerApps and Flow are the other key features that organizations can leverage while migrating to SharePoint 2019. Further, the users can also enjoy modern, easy-to-use scroll pads that are now integrated with libraries. SharePoint 2019, thus, brings many updates that were the need of the hour for enterprises. While considering migrating to SharePoint 2019, three options are possible, continue with either On-Premise solution, Cloud migration, or Hybrid solution. However, if you are still wondering which is the smarter choice, this exhaustive comparison between SharePoint Online and On-Premise will help you make the right business decision. The migration strategy will differ from project to project. Also, it will depend on the organizational context, defined objectives, and existing constraints. However, establishing a practical approach will increase the chances of business success. It is essential to determine the relevance, structure, and importance of the content. This approach will speed up the process by eliminating redundant, obsolete, and unnecessary data. It will help identify content segments that should be migrated on priority. Further, creating a governance plan will help to structure data and protecting sensitive content. Analyze the content in your source SharePoint platform and get rid of the ones that are no longer required. It could include a collection of abandoned sites, or web applications, or third-party software’. This process will help uncomplicated the migration exercise and end up migrating irrelevant or redundant information, even if the overall migration exercise is 100% successful. It is also considered as one of the SharePoint 2019-migration best practices. Having a surplus amount of space in the target SharePoint will help managing modifications. It could comprise of the extensive database while migrating source site, listing contents, customizations, web parts, workflows and more. It will improvise the process of performing the migration to SharePoint 2019. The development teams run migration tests, schedule incremental migration synchronization, and obtain the URLs required that helps to test of the data transferred to the target environment. It is even vital to identify and map user-defined customization in source and target SharePoint platforms. It will help with complete migration to SharePoint 2019. Locate all the Master and Home pages, Web Parts, Workflows, Themes, Document Templates, Custom Content Types and more. It is vital to ensure that the target environment is working correctly with appropriate data integration. Further, it is useful to have a training program that is ready for implementation. Users must be able to access the new environment and must be redirected while accessing the old environment. To conclude, here is a rundown of the appropriate steps required for migrating from legacy content repositories onto SharePoint 2019. Perform a full scan of migrated content iteratively over a pre-determined migration schedule. The goal is to map the content to be migrated, to judge the level of customization of the different functionalities, and to anticipate the blocking elements for the migration. SharePoint 2019 offers advanced capabilities to build hybrid environments. It is in-line with Microsoft’s desire to encourage migration to the cloud. As a SharePoint web development company, Rishabh Software leverages the latest Microsoft technology features that help automate business processes and matches our customer needs. Wish to Upgrade to SharePoint 2019?We will help you implement the latest SharePoint capabilities for your business.